Ruby red in colour, the wine displays perfumed aromas of dark cherry and exotic spice. These marry harmoniously with a full bodied and persistent palate, seamlessly balanced with chocolate oak and fine grained tannins. 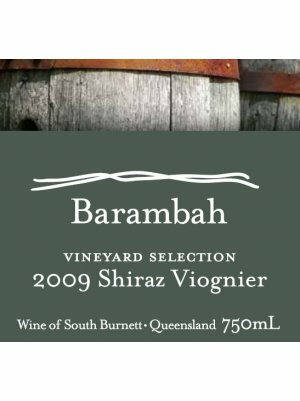 An increasingly popular blend for Barambah gaining recognition for its generous flavours and delicate perfume. Selected from outstanding small parcels of local fruit from surrounding vineyards the blend is South Burnett Shiraz (93%) and Viognier (7%). Ready for enjoyment and short term cellaring.